See all my Go Go Gorilla photos – Click Here! 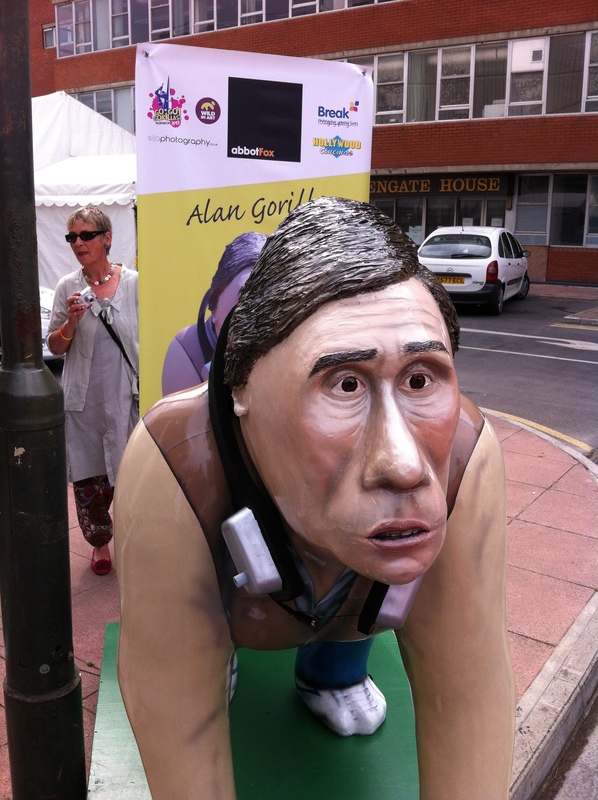 One month since the Go Go Gorilla Trail opened in Norwich (24th June) – I have finally ticked all the large sized gorillas off my list, including the new Alan Partridge Gorilla unveiled yesterday for the Alan Partridge: Alpha Papa Premiere held at Anglia Square. I love this new design, commemorating a successful ‘Anglia Square Not Leicester Square’ Campaign to get the premiere to take place in Norwich – and also to ‘make up’ for the Freddie Mercury gorilla that had to be redesigned. Good to see the Go Go Gorilla organisers putting some fun back into to trail – and that Steve Coogan has a sense of humour! Didn’t see him signing the gorilla before he went into the screening though: did he do it afterwards? Because that would have been awesome :). I must admit I completed the trail in three trips, I’m not from Norwich, I come from the near by town of Thetford, so for me the trail was a very deliberate plan. But it was great to meet so many other gorilla-hunters (and Tweeters) along the way: some of which were locals; coming across gorillas as they go about their daily lives, others; one-time visitors to Norwich discovering the trail by accident, and some, like me, were excitable enthusiasts determined to find them all (and enter the competition via John Lewis – which I gave a miss). 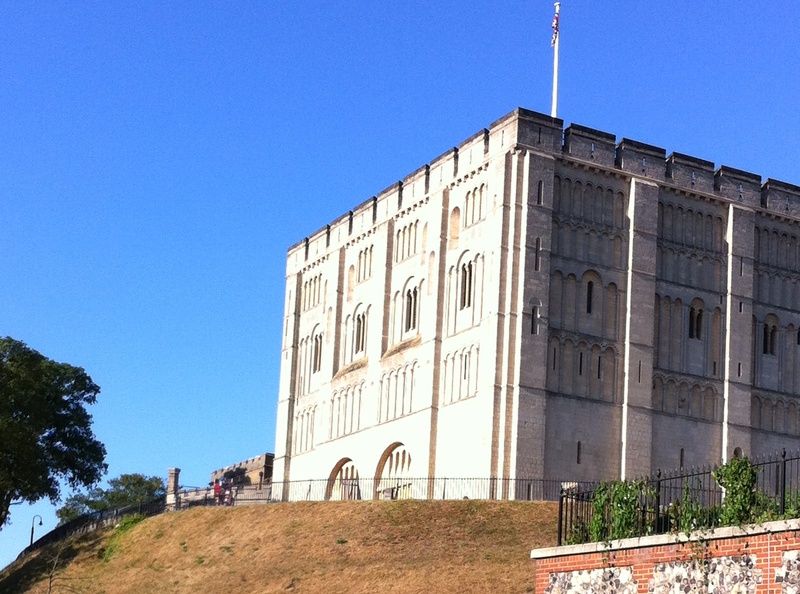 But I guess that’s what the trail was about: embracing the community of Norwich and enjoying all of the city’s iconic buildings and trade. 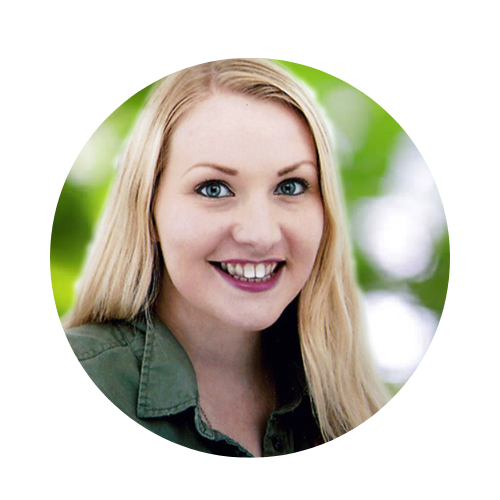 The overall outcome of the trail is about raising awareness and funds for Break Charity and the Born Free Foundation (which is of course where my interest is from). 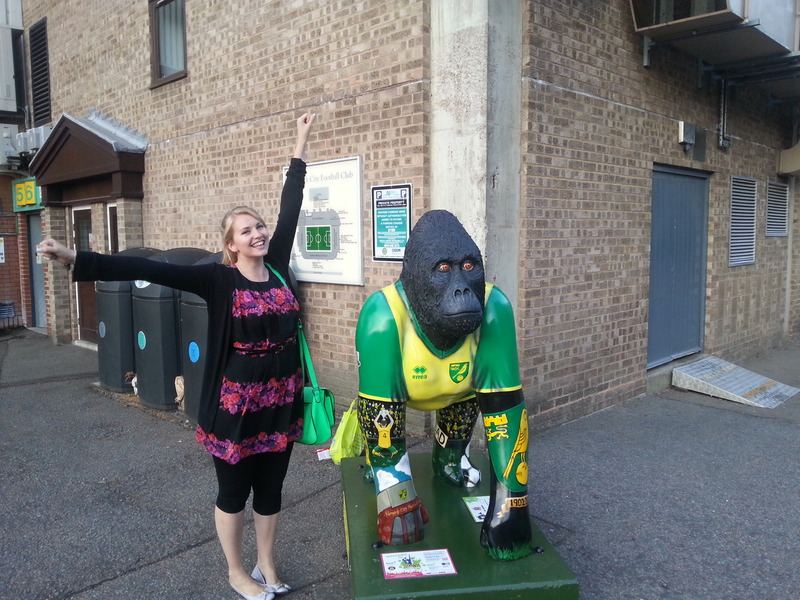 So many businesses across the city have provided a home for a Go Go Gorilla or a Mini Gorilla, and even some of those that haven’t, have shown their support by factoring gorillas into their promotional displays – leaving visitors fully aware of the fundraising taking place in Norwich. 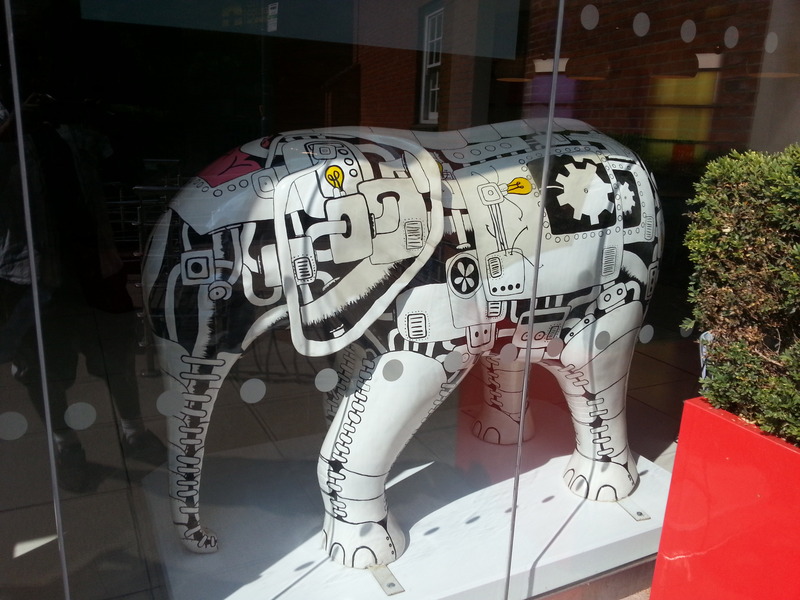 At the end of the trail campaign (7th September) the Go Go Gorillas will be collected up and auctioned off, much like the Go Elephants, some of which can still be spotted across the city. If you’re interested in attending the Go Go Gorilla Auction, tickets can be purchased here. I guess the last comment for me to answer – one which I have been asked a few times on Twitter – what is my favourite gorilla? Well, I do love Freddie ‘Radio Go Go’ (especially after all the trouble he’s caused: I love a bit of mischief), but King Kong has to be my favourite due to all the extra scenery that has gone into his display! And also because Kong has been the trail’s logo for months, so he’s the one I’ve been anticipating!